Though usually viewed as a 1970s genre, the disaster movie never really died. For a 21st century take on that domain, we head to 2014’s Into the Storm. Set in Oklahoma’s “Tornado Alley”, the film focuses on the town of Silverton and introduces us to a mix of participants. Led by TV semi-celebrity Pete Moore (Matt Walsh), “Titus Team” tracks major storms and attempts to put viewers in the center of tornadoes. Pete works with Allison Stone (Sarah Wayne Callies), a meteorologist who her boss criticizes for her failure to land him a massive storm. Feeble-minded pals Donk (Kyle Davis) and Reevis (Jon Reep) seek fame of their own, as they stage stunts in search of Youtube hits. This leads to idiotic tasks with ATVs and other silliness. We also get to know high school vice principal Gary Fuller (Richard Armitage) and his teen sons Donnie (Max Deacon) and Trey (Nathan Kress). A single father since the death of his wife, Gary shows a hard edge as he tries to raise his boys, a tone that causes Donnie to bristle. All these threads converge when a forecast predicts a major tornado in Silverton. “Titus Team” heads in search of the footage they need, while Donk and Reevis also put themselves in harm’s way for their desired Internet glory. Gary deals with the threat in the midst of graduation, while Donnie finds himself farther afield. His crush on classmate Kaitlyn Johnston (Alycia Debnam Carey) takes them to an abandoned paper mill to shoot footage for a class project. We watch as all involved parties deal with the destruction that comes with the massive tornado. When trailers for Storm appeared, many viewers encountered a sense of déjà vu, as the 2014 film prompted memories of 1996’s hit Twister. These flashbacks didn’t occur just because both involved tornadoes; instead, the pair seemed a lot alike because of the “storm chaser” angle, as both concentrated on folks who trace bad weather for a living. Twister took that side of things farther, though, as Storm broadens its character focus. Given that the personalities in Twister seemed cartoony at best, this expansion might sound like a good thing, but it ends up as a negative. Did we really care about the characters of Twister? No, but at least the movie gave them some goofy personality. On the other hand, the roles in Storm remain eminently forgettable. We maintain little to no investment in the participants as the movie provides only rudimentary reason for us to fret about them – and both Donk and Reevis become so annoying we long to see them swept up in a twister. The roles seem like bland, stock characters and the tale can’t develop them in a satisfying manner. In a potentially interesting twist, Storm opts for a “found footage”/documentary thrust – sort of, that is. The film uses these angles when it feels like it but drops those conceits frequently, a stylistic choice that makes the end result something of a mess. At the start, we feel as though Storm will be a faux documentary. It introduces us to the characters in a documentary-style fashion and uses footage that could’ve been shot for a program of that sort. However, matters quickly expand to include plenty of material that makes no sense in the documentary and/or found footage formats. This creates a perplexing product, as the inconsistencies become confusing. The filmmakers should’ve chosen a style and stayed with it; the leaps from traditional cinema and documentary seem sloppy and distracting. At least the movie delivers with its action scenes – to a degree, that is. Those sequences offered the main redeeming factors in the deeply flawed Twister, and that becomes the case here, as the intense visuals provide reasonable drama and excitement. That said, I still think Twister does it better. Even with technological advances over the last 18 years, the effects seen in Storm don’t seem more convincing than those in Twister - and given the 2014 flick’s modest $50 million budget, they might actually look worse. I think the visuals are fairly good but not as strong as I might like. Still, the disaster scenes add life to an otherwise dull, flat experience and almost redeem it – with an emphasis on “almost”. Director Steven Quale lacks the dynamic sense of action Jan de Bont showed in Twister, but he still gives the disaster sequences life and drama. Is that enough to make Into the Storm a good film? Probably not, though the wild action sequences at least ensure that it becomes a watchable effort for those with a fondness for the genre. Storm occasionally threatens to fall to cheap SyFy Channel levels but it stays on the right side of that ledger enough to make it a moderately exciting – if often disappointing – adventure. Into the Storm appears in an aspect ratio of approximately 1.85:1 on this Blu-ray Disc. This became a satisfactory image. Overall sharpness looked good. A little softness occasionally affected wide shots, but those elements remained infrequent and minor, so the majority of the movie appeared well-defined. I noticed no signs of jagged edges or shimmering, and edge haloes failed to appear. Source flaws also remained absent across this clean presentation. Storm used a limited palette that often accentuated blues. Within those parameters, the colors seemed fine; I didn’t expect a broad range of hues from a movie of this sort, though expansion beyond “Hollywood Standard Teal” would’ve been nice. Blacks were dark and deep, and shadows looked smooth and well-developed. No substantial issues marred this positive presentation. Even better, the movie’s DTS-HD MA 5.1 soundtrack dazzled. As one would expect from a tornado-oriented film, the many action sequences used the spectrum in a dynamic, involving manner. Quieter scenes showed a good sense of atmosphere as well as stereo music, but those didn’t pay the bills. Instead, the weather-related shots – of which we found many – brought the track to life in a spectacular sense. The soundscape used all the channels in a broad, engaging manner that put the action all around us in a convincing manner. Everything melded together to form a terrific soundfield that added to the action. Audio quality also excelled. Music was full and rich, while dialogue seemed accurate and concise. I worried speech might get buried in the mix, but the lines remained intelligible and showed proper balance. Effects remained the main attraction, and they sounded great. Those elements provided amazing punch, as they were always clear and tight with raucous low-end as well. Bass literally shook my walls – some items fell to the floor due to the tight, loud material – and brought out a great sense of vivacity. This was true demo audio. 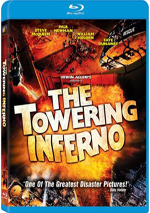 The Blu-ray delivers three featurettes. Tornado Files runs 10 minutes, 48 seconds and offers comments from director Steven Quale, storm chaser Reed Timmer, producer Todd Garner, and VFX supervisors Colin Strause, Nordin Rahhali and Nikos Kalaitzidis. The program looks at different kinds of tornadoes as well as the techniques used to bring them to the movie screen. This becomes an efficient and informative overview. Titus: The Ultimate Storm Chasing Vehicle goes for eight minutes, 23 seconds and features Quale, Timmer, set decorator Brana Rosenfeld, frame playback tech Greg Mitchell, production designer David Sandefur, car coordinator Ted Moser and actor Matt Walsh. We learn about real storm-chasing vehicles as well as the design/creation of the movie’s “Titus”. Like “Files”, we find a pretty tight show that tells us a fair amount about its topics. Finally, we get the five-minute, 37-second Fake Storms: Real Conditions. It gives us notes from Quale, Walsh, Sandefur, Garner, and actors Sarah Wayne Callies, Lee Whitaker, Richard Armitage, Nathan Kress, Arlen Escarpeta, Jeremy Sumpter, Alycia Debnam Carey, and Max Deacon. “Conditions” looks at elements used to bring about the movie’s practical weather. Though less substantial than its predecessors, “Conditions” still offers a decent array of details. The disc opens with ads for The Hobbit: The Battle of the Five Armies and Jupiter Ascending. No trailer for Storm appears here. 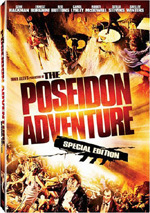 A second disc provides a DVD copy of Storm. It includes “Fake Storms” but lacks the other two featurettes. 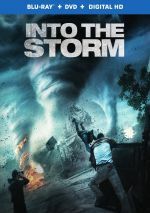 With a heavy debt to 1996’s Twister, 2014’s Into the Storm offers an inconsistent but still sporadically enjoyable disaster film. It comes with more problems than even its deeply flawed predecessor but it does just enough right to engage disaster film fans. The Blu-ray offers good visuals and electric audio but lacks extensive supplements. I can’t give the movie much of a recommendation, but those with a taste for cinematic mayhem should find something to like here.